After a great response to my Ladies 2015 Christmas Gift Guide I thought it was about time I shared with you a few fabulous gifts that would make perfect stocking fillers, secret santa presents and small gifts featuring a range of items for all budgets I feel I really have something for everyone so let’s get started! Let’s start with the nail lovers, nail products are always great stocking filler because they are small and there are just so many to choose from. One brand and polish I have been dying to try for a long time is the CND Vinylux weekly polish and if you have any polish fans to buy for this year then I imagine this is something they’d love to try too. CND are the creators of Shellac and although I absolutely love having Shellac done these days I don’t really have the time to get to a salon on regular occasions so having these fab weekly polishes would be a god send and they have an amazing range of colours including some very famous Shellac shades. You can purchase the CND Vinylux weekly polishes (click to buy) from NailPolish.co.uk this site has a huge range of nail products so something for everyone! Next up we have a fabulous little set created by the fabulous Tanya Burr, Tanya has a range of beauty products out including makeup palettes, glosses and of course nail polishes. I adore this little festive set as the colours are perfect for the party season with a fabulous glitter polish to add a bit of sparkle to any nail look. This Tanya Burr Nail Polish Trio Set (click to buy) is an absolute steal and you can get it from Fragrance Direct for… £2.99! I know what an absolute bargain, these sets retail at £14.99 so that is a massive saving and there are also many different shades to choose from so you could get a bunch of them for all of your friends and still have money left over for a lovely hot chocolate! 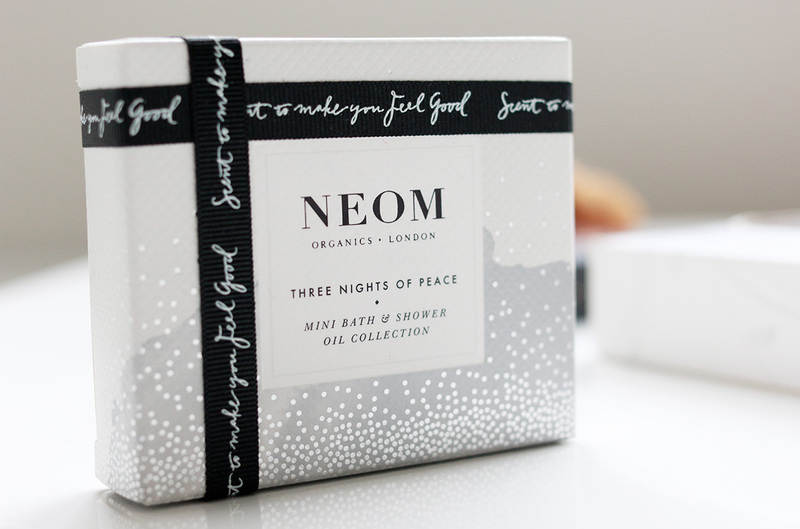 Here is something for the mothers out there, Neom is a brand I was introduced to this year and I really love the fact that each and every product has true wellbeing benefits to help with the stress that us ladies go through on a day to day basis. The Three Nights of Peace set (click to buy) is a mini bath and shower oil collection that focusses on de-stressing, unwinding and creating the perfect nights sleep which is exactly what we all need after a hectic Christmas so definitely check this out if you want to treat a loved one that you know will be under a lot of stress this Christmas or for someone you think deserves a real pamper. 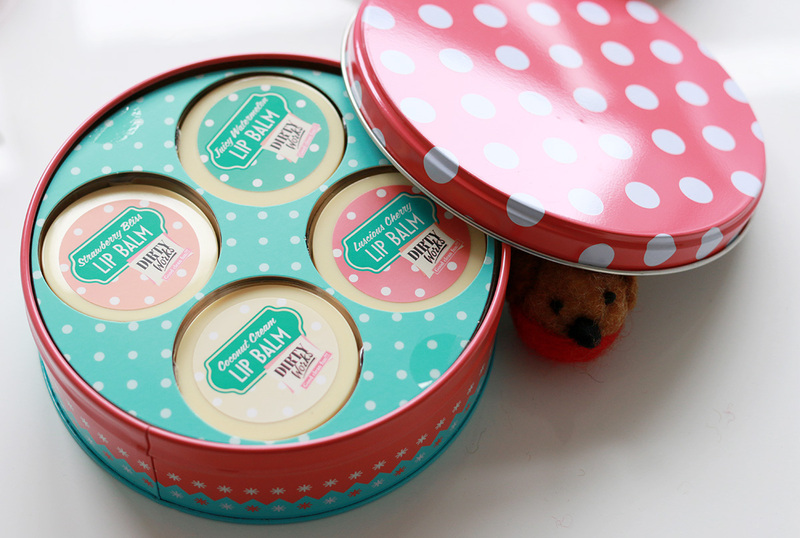 If you’re looking to grab some last minute bargains that not only look good but smell delicious then head over to Sainsburys and grab one of these fab Dirty Works lip balm tins for just £5! This brand really reminds me of Soap and Glory but the price is even kinder and the packaging is just adorable, the set includes four mouth watering, tasty flavours; Luscious Cherry, Coconut Cream, Strawberry Bliss and Juicy Watermelon. A great little buy and something that I think would be greatly appreciated during this cold winter season! Time to get Melted and up the beauty game, if you are buying for a beauty fanatic then let me tell you they won’t be disappointed when they unwrap this fabulous present. 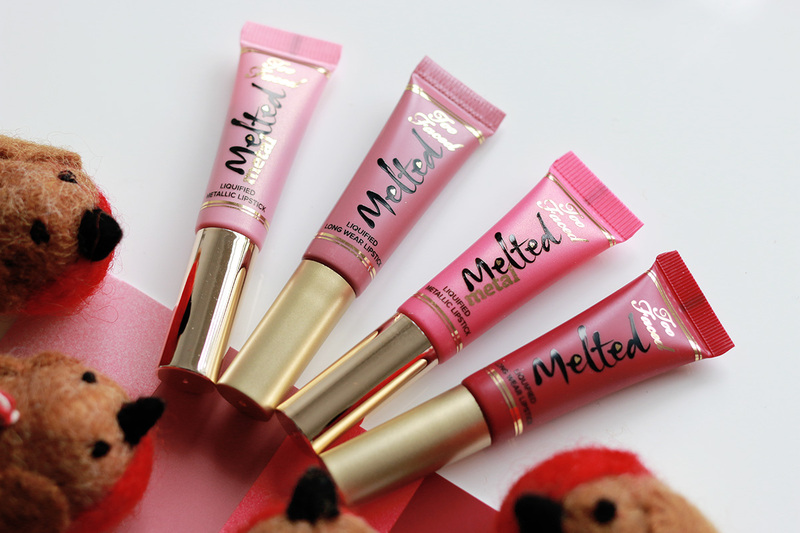 Too Faced have come up with a bunch of festive sets this year including this super cute French Kisses set for just £12 which includes four mini melted metal liquified lipsticks. I have quite a few of the melted metal lipsticks and let me tell you they are amazing, such great quality and super long lasting so if you have a lip product junkie to buy for then they won’t be disappointed with these! The last gift I have to share with you all is my favourite just because it’s from a brand that is very hard to come by in the UK and that is Make Up For Ever. 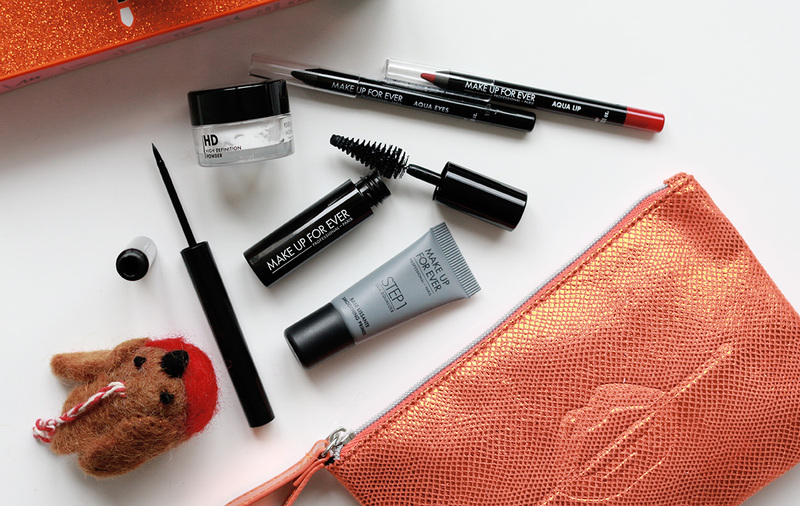 Make Up For Ever is now sold in Debenhams and to celebrate this year they have brought out a number of holiday sets including this amazing Cult makeup set (click to buy), what I love about this is that is features 6 makeup essentials that are really popular in the MUFE world. The set includes: 1x Aqua Liner, 1x Smoky Extravagant Mascara, 1x High Definition Powder, 1x Aqua Lip Pencil, 1x Aqua Eyes Pencil and 1x Step 1 Skin Equalizer Smoothing Primer. An amazing set for those that want to try the brand and for those that really want to treat a loved one! Who wouldn’t want this fabulous little set?! Have you bought many stocking fillers for friends and family this year?